My wife and I are extremely satisfied with the services provided by We-Haul Moving. These guys showed up on time and worked very hard from beginning to end. I was quite impressed with the heavy treadmill they managed to carry into the basement of my new home. These guys are strong and were very careful with our belongings. They brought everything into our new home without a scratch. They also ran every single item by my wife and I to see which room/area we wanted the item to go. They exceeded our expectations and we are happy to have hired them. Thank you Javier and his crew. Just bought a new home and wanted to use McLaughlin Flooring again as they did an incredible job the first time when they replaced my floors in my previous home. Rick (the owner) is a humble, patient and hard working individual. He truly cares about his customers and the quality of work that he provides. A modification needed to be done to part of our existing trim for it to transition neatly into our new trim . Rick's worker Jordan fixed the trim and installed laminate flooring on the entire 2nd floor of our new home. I didn't get a chance to meet Jordan as I had to work but I just wanted to say thank you so much for your excellent workmanship. I highly recommend McLaughlin Flooring and will be using them again in the future when I decide to remove the carpet from our stairs. Thanks again Rick. Wow ! Thanks Jacob for the incredible review !! Hope you guys enjoy your new floors and your new home ! Congrats ! My wife and I are very satisfied with 4Sights Home Inspections Inc. I put in a service request online through homestars.com and got a response from Mike right away. He provided a reasonable price to do the job and included thermal imaging which most other companies charge extra for. Chris inspected our home-to-be with pride. He was patient, answered all our questions, took detailed notes and pictures and provided a report of his findings. We felt confident with Chris' expertise in the field which further provided us with the comfort in buying this home. Thank you Mike and thank you Chris. A wonderful experience and would recommend and use your services again in the future. I'm happy that I went with this company. I called around and was not comfortable with the paying for one full year up front with some companies. All protection plus was the best price and also provided a six months free offer. I dealt with Mike through email and over the phone. He was patient in answering all my questions. The installer Jason was also a pleasant man to deal with. He answered all the clarifying questions I had about the system and service being provided. I do recommend these guys for your security needs. Jacob we are glad to know you are happy with our services. Thank you for your encouraging feedback! I hired roofs on homes a couple years ago to replace my roof as well as my neighbours on my left and right. This company truly cares about the quality of the work they deliver. Danny, one of the owners is an upfront honest man who provides you all the details of the project so you have a clear understanding of what's being done. We all know the damage this past wind storm caused to hundreds of residential roofs. I checked my roof, not one shingle was missing. Many other neighbours in my complex lost several. I am so happy I went with this company and dealt with Danny. Hard to come by people like him and the team he has who actually cares about the quality of work delivered. Thanks again Danny. 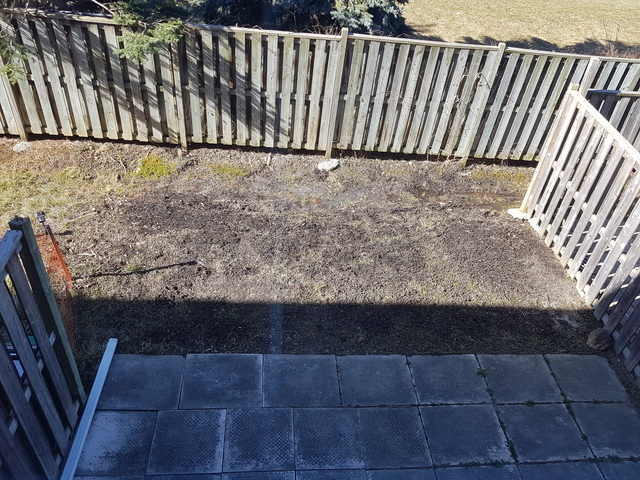 I could have only wished that my wife and I had a positive experience like others did when it came to installing a fence and patio in our backyard by Action Home Services. Here are a few points. You can then decide whether you want to hire them for your project. 1. Several screws were sticking out of the fence boards 2. The garden bed was not square 3. Many fence boards were cracked 4. Screws were missing in the fence boards 5. 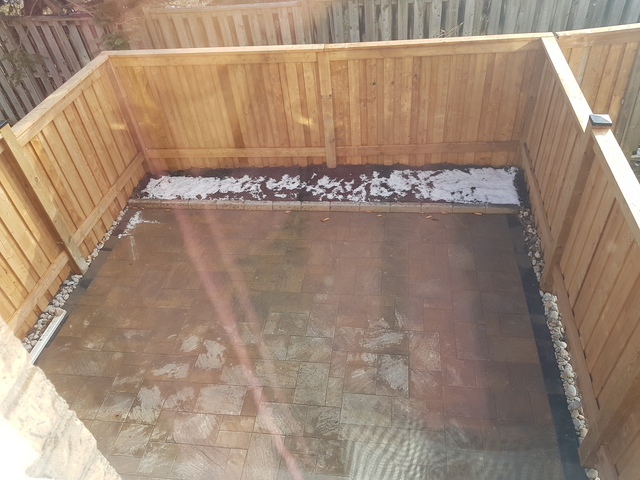 They laid down the polymeric sand on a windy day which blew everywhere and caked onto the patio stones which ended ruining it by leaving a foggy white substance 6. The fence posts are not square 7. Patio stones were defective 8. The company pushes you to write a review the day of and right after the job is completed. How many other reviews are like this? A companies quality of work shows in time, not one day after the job is completed. John, you are a good guy, you really are but I'm sorry. There is no way I can give a perfect score with these major issues. You made us wait over two months to come back and correct the issues yourself which your workers couldn't do the first time. May this be a learning experience for you and your team. I do not recommend this company. Hello Jacob,we truly appreciate your positive feedback on the backyard renovation!Cannot wait to work with you again! Tony (the owner) and Norman (salesman) by far has been the best contractors I have ever dealt with. Both Tony and Norman take extreme pride in the work that they do. Tony provided me with a very detailed quote of the work that was going to be done. Norman came by, took some measures and provided me with all the information I needed to know about the product I was looking to purchase and get installed. Tony and Norman carry very high standards for themselves and are very honest people. Tony's crew came by and did a fantastic job installing my sliding door. His crew was friendly, neat with the installation and excellent with clean-up. After the project was complete, both Norman and Tony called me to ensure that I was completely satisfied with the work that was done. This is by far the best experience I have ever had. Thank you Tony and Norman and the crew for your services. You will be recommended to all. Thank you Jacob for recognizing our dedication we appreciate your kind words and compliments. Thank you for the uploading the photos you included. I am so glad that I chose Mclaughlin Flooring to install laminate in our home. Dealing with Rick who is the owner of the company was absolutely pleasant and easy to work with. He came to our home, did some measurements and provided a quote on the spot with a full breakdown of the work involved. Rick is a humble and honest person who takes pride in his work. He kept me up to date and checked on his crew during the installation to ensure that everything was going as planned. I also found Rick's price to be very reasonable. His crew was amazing to deal with and worked extremely hard. The job site was spotless after they finished. I am so satisfied with their work and would definitely use them again to finish my stairs when the time is right. Rick, I will be recommending you to homeowners who would like to replace their floors. It was a pleasure doing business. Thank you for taking pride in the work that you do and for your services. Jacob, thank you so much for your positive review. We are so happy you are satisfied with your project. Please let us know if there is anything we can help you with in the future. Thanks again from the Mclaughlin team. What an excellent company to work with. Riley's Tree Service cut down a tree for me over a year ago and I decided to get the stump grinded as I am planning to re-do my backyard in 2018. I was confident that the job would get done with quality which it was. You will notice that Riley is very fair with cost and takes pride in their work. You will not be disappointed using their services as I am a repeat customer and will be again for any tree related work around my home. Thanks to Riley again for your quality work! Excellent company to work with. My contact ended being Gary who was very professional from the very beginning. He updated me every bit of the way ensuring that I was happy with how things were going. My project was broken down into two installation dates. Gary always kept me up to date and made sure I was happy with the installation after it was completed. I felt that the price was reasonable and felt comfortable with this company to do the job. I'm glad I went ahead because I'm very satisfied with the results. A very good experience and would use them again for future projects. Thank you Gary. Jacob thank you for taking your time to share your experience with our company. I totally enjoyed dealing with this company. The owner Mark came out and provided a quote, a quote that was $100.00 less compared to another contractor in the Tree Services field. Mark is a pleasant man who provides amazing customer service. Very professional, friendly and does not pressure you whatsoever about the project after he's provided the quote. He gave me the quote, we had a brief conversation and after that, I was comfortable to start the job. His team did an amazing job cutting down the dead tree in my backyard. They cleaned up so well that you wouldn't have even known they were there other than seeing the tree stump of course. Go with this company, it's professional, the service is great and the price is right! Thanks Mark, it was a pleasure meeting you! It was also a pleasure meeting and dealing with you Jacob! Thanks so much for the work and taking the time to write this review. I received a quote from Solutions Electrical and decided to go ahead with the project seeing their great reviews on Homestars. I enjoyed communicating with Tony through email who kept me up to date with the quote and the work that was going to get done. The quote was full of detail with no hesitation to go ahead with the project. Two workers came to install a light in my crawl space, to install my already bought outdoor light fixtures and to install a receptacle in my garage for my garage door opener. The electrical wire used was good quality, the work was very neat and professional and my place was left clean once the job was completed. I am satisfied with the quality of work done. Thank you for doing a great job! Excellent work! From beginning to end this was a great experience. I communicated with Michael (the owner) through email about the project I wanted to get done. I sent some information that was required to provide the quote and he replied back quickly. I was informed when the project was going to start. Everything went very well. I'm glad I went with this company as the work done was amazing using good quality caulking. Would use them again and recommend to neighbours. Thank you Mike! Thought I would provide an update on how satisfied I am choosing Dodds to replace my garage door and door opener. A year later I needed to call in and ask for a paint sample of my garage door and frame because my front door needs to be painted this year and I wanted it to match my garage door. Susan on the phone was so helpful and willing to send out a paint sample by mail so I could go ahead with my project this summer. Even after the project being done a year ago Dodds still delivers and cares about their customers. Thank you for this, I appreciate your continued support. This provides me with comfort knowing that you will still be there when I need you. Thank you for this review Jacob. A great customer experience with DODDS begins with a live person to talk to on the phone. Our team will always be there for you so that your experience with DODDS will be easy and comfortable. I really enjoyed my experience with Dodds Garage Door Systems Inc. Angela the customer service representative is very kind, caring and a great listener. She takes the time to listen to your questions and attends to your needs. She is a great asset as she provides amazing customer service! My installer was Les, very nice individual. The quality of his work was outstanding. When the job was finished I was absolutely amazed by the precision, neatness and exceptional work that he did. I ended up getting two quotes where Dodds was a little bit more but well worth the price. I went with them because during the estimate the salesman explained the job in great detail and provided me with all the information I needed to feel comfortable with what was being done and to trust this company for the job. Thank you very much Dodds, your work is appreicated! Thank you for this great review Jacob. At Dodds you only pay for the door that you need at the price that is comfortable for you. Your friendly and knowledgeable Dodds garage door professional will always inform you of the choices you can make that will impact the price of the garage door that is right for you. Your door will then be installed with great care and professionalism. I am sure many of you will agree it's not so much getting the best price but more so getting the best contractor to do the job right. Roofs on Homes is that contractor you are looking for. What an amazing experience from the day I picked up the phone to the day I signed the invoice once the job was completed. Danny (the owner) is a perfect example to what customer service is all about. Professional, courteous, patient, trustworthy, and the list goes on. He and his crew were punctual, the price was reasonable and the clean-up was phenomenal. If you are looking for a company that will listen to your needs and provide excellent workmanship you found them. Give Roofs on Homes a call and see for yourself, I am sure you will agree. Danny, thank you very much! Thanks so much for the opportunity, it was a pleasure working with you on this project. All the best to you and your whole family.